The Swiss government has officially informed Pakistan that it cannot revive cases of alleged money laundering against President Asif Ali Zardari as the matter is time-barred, Law Minister Zahid Hamid has said. The Swiss government conveyed its position in a letter sent to Islamabad in February, when the previous Pakistan People's Party-led government was in power. However, the letter was opened only yesterday by Law Minister Hamid. The cases against Zardari, his slain wife Benazir Bhutto and several others were closed as part of a secret agreement between the PPP and former dictator Pervez Musharraf, who issued a grant amnesty in 2008. Following pressure from the Supreme Court, the Pakistan Peoples Party-led government wrote to Swiss authorities to reopen the cases but pointed out the move should not affect the immunity granted to the president by the constitution. The "public ministry of Geneva has decided not to review the closure order dated August 25, 2008 on the ground that the statutory limitation period of 15 years has expired", an official statement from the law ministry said. 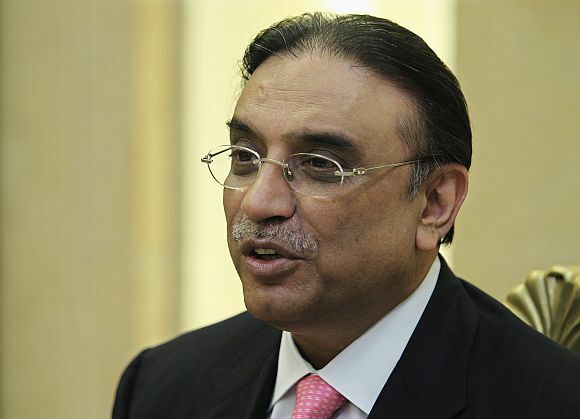 The Swiss authorities further said "no new evidence or facts have been revealed" against Zardari and that the Pakistan government's procedures constitute an "abuse of power" as it was "demanding resumption of the criminal (cases) while maintaining that such resumption could not take place". The law ministry has decided to examine the Swiss government's response in consultation with the attorney general to determine its future course of action. Zardari had been accused of laundering $60 million through Swiss banks. The matter has dragged on in Pakistani and Swiss courts for years though the charges against Zardari were not proved. The law ministry's statement said relevant files related to the case were "presently not traceable in the law and justice division" and the Pakistani Ambassador in Switzerland has been requested to send copies of all correspondence available with him. Zahid told the media that the Swiss authorities had decided not to re-open the cases against Zardari as the matters "have died down for lapse of time" and the previous government’s stance on the cases "had been self-contradictory". The previous PPP-led government had not acted on the supreme court’s repeated orders to reopen the cases. It began acting only the apex court convicted former premier Yousuf Raza Gilani of convict and disqualified him. Gilani's successor Raja Pervez Ashraf agreed to implement the court’s orders in November only after he too was charged with contempt. Subsequently, a letter was sent by the PPP-led government to Swiss authorities in November last year, asking to revive the cases in line with the supreme court's order.